Most mixing courses focus on teaching students how to improve a particular song. The issue is that since every song is different, the challenges and solutions are unique as well. This means that often the settings you are shown will not translate into your own songs. In fact, using them may actually cause your mixes to sound worse. 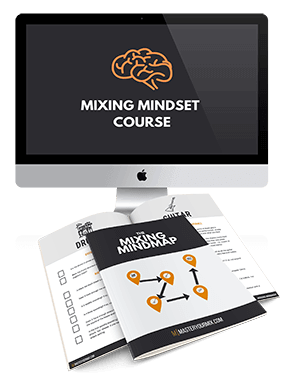 This course teaches you how to make the best decisions for YOUR particular mixes! In order to create pro mixes, you need to know how to analyze your own tracks and find the unique solutions to them. This involves knowing what to listen for, having an understanding of the tools, and having a repeatable workflow that you use in every mix. This course gives you the tools and checklists needed to make sure that you cover all of the important steps in your own work. You’ll learn how to adapt to various scenarios and discover the steps needed to achieve balanced, clear mixes every time. When it comes to getting great mixes, there is no one size fits all solution. Instead it requires combining many skills and tasks together in order to achieve a modern, professional, sound. You need to have a solid workflow, understand the various tools, have a properly set up listening environment, and a bunch more. Without mastering all of these skills, you’ll be stuck with dull, lifeless mixes that fail to translate. 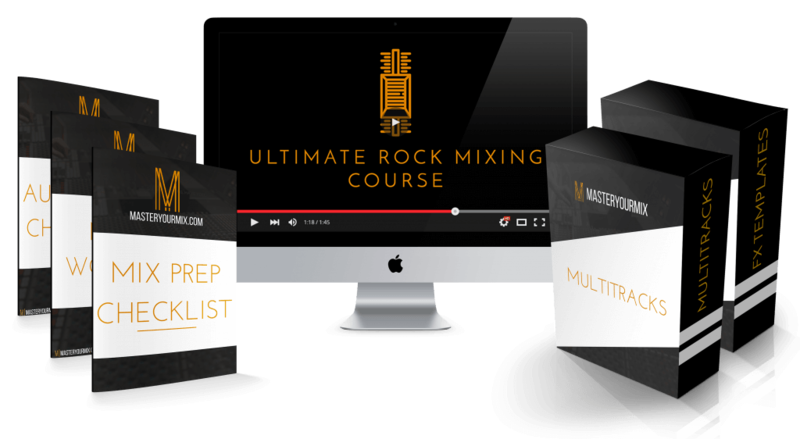 The Ultimate Rock Mixing Course gives you the opportunity to look over the shoulder of a professional mixing engineer and learn the exact step-by-step process that goes behind making radio-ready mixes. You’ll master the tools, workflow and train your ears so that you can create pro results every single time. 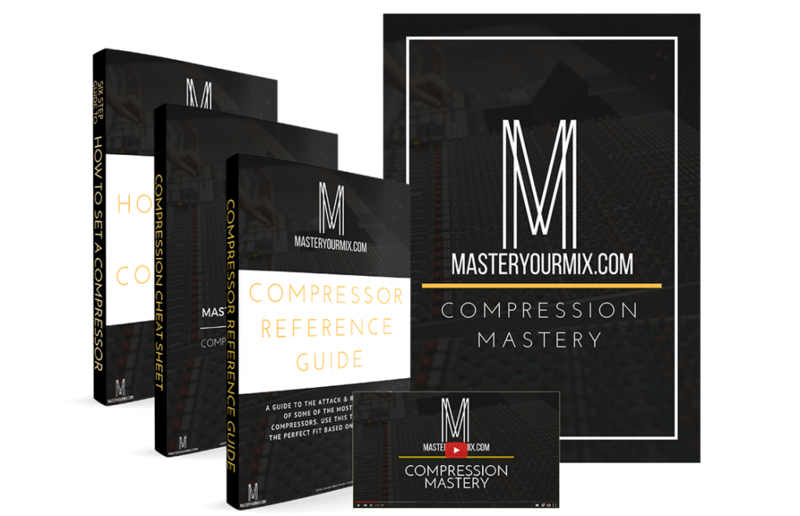 Compression Mastery will show you step-by-step walkthroughs for how to apply compression settings to every instrument within your mix. You’ll also discover the different types of compressors and how to pick the right one for your specific needs. In addition, you’ll also learn advanced compression secrets that pro mixers use daily to get more control over their mixes.